There is a slight change in the hours at the brewery this weekend. On Saturday, 1/4/13, Cutters will be closing at 3 pm so that all Cutters employees can attend our holiday trip. The brewery will go back to normal weekend hours of 1-5 pm on Sunday, and will be open until 6 pm on weekdays for tastings and carryout sales. On tap at the brewery: Lost River Blonde, Monon Wheat, Half Court IPA, Floyd's Folly Scottish, Empire Imperial Stout, Vanilla Empire Imperial Stout, General Brown's Sour Brown Ale, Pentagon Porter, Pumpkin Porter, and a limited amount of Bank Robber Belgian Brown Ale. Bourbon Barrel-Aged Empire 22 oz bombers are also available at the brewery right now. We are now pouring our King Solomon’s Imperial Stout! Come by on Tuesday for a pint of this delicious beer for only $2.50 or get a Growler of it for $10.00. Anniversary Party #3. Jan 4th. 11 am-8pm. 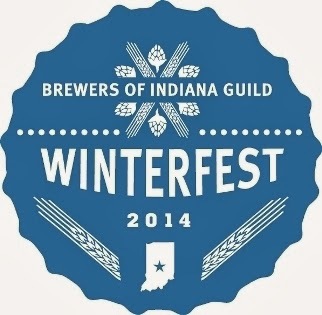 We'll have Winter Cycle Double IPA, an estimated 40+ beers on tap including barrel-aged and cask beers, a big tent, live music from Coolidge, Scribble and Caveman Truck and more. Frequently asked questions? We've added additional info to this Saturday's anniversary event. Updates include: moving the live music byCoolidge ahead to 2 pm (Go Colts! ), adding a special promo code from Uber for those who need a safe ride and…the beer list is posted (posted, but not necessarily final final). 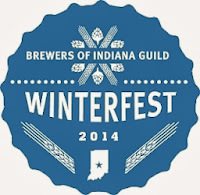 The Sun King Winter Warmer is scheduled for NEXT month at Flatwater on Feb. 20th. It's our 1st Anniversary and for us the last year has been amazing in terms of all the people we have met and experiences we have had around the brewery. Our Aggressively Fun Appreciation Tour 2014 is for you and it kicks off next week and is going to be epic. We only get a 1st anniversary once and we are bringing it. The first two events are next week and we will include some super limited glassware, one-time only Rare Devil Series beers and a party (hopefully) at a location near you. Read more on our Facebook page or our blog. Carnival Saison: Our current seasonal Belgian style beer. We currently are pouring 10 taps of craft brewed goodness. Thanks to all the brewers and keg monkeys who work so hard to bring us all the great beer. Bloomington Brewing Ruby Bloom amber and Rooftop IPA, Ommengang Adoration (a Belgian strong dark), La Trappe Dubbel for a change from the Quad, Bier's Dunkleweizen and their Pumpkin Porter, Flat-12 Walkabout Pale, Gaffel Kolsch, Left Coast Hop Juice, and Kentucky Brewing's Bourbon Barrel Ale. Come out and try some tasty Chicago beers while you watch the Colts beat the Chiefs! Scotty’s Brewhouse Downtown is now pouring Sam Adams Rebel IPA a West Coast Style IPA! Join uson Wednesday when you can enjoy a 48oz pitcher for only $7.00! It's that time again: come drink some delicious mead and ciders and play a little game called Cards Against Humanity. 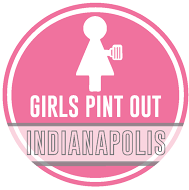 This is a great event if you have never been to a Girls Pint Out event before or if you are looking to meet similarly like-minded ladies! Warning: If you are easily offended Cards Against Humanity might not be the game for you. If you haven't already played, check out their site - www.cardsagainsthumanity.com. We asked for your submissions to add your own depravity to the deck. Come see if your card(s) made the cut!